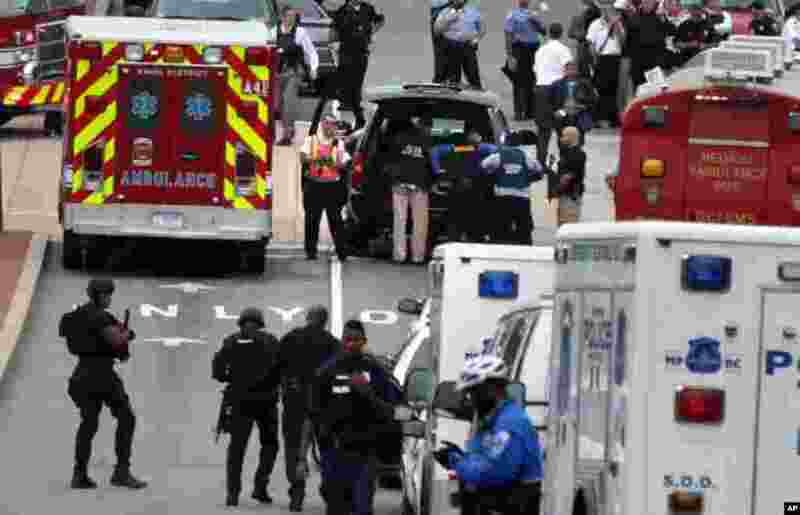 1 Emergency vehicles and law enforcement personnel respond to a shooting at an entrance to the Washington Navy Yard, Sept. 16, 2013. 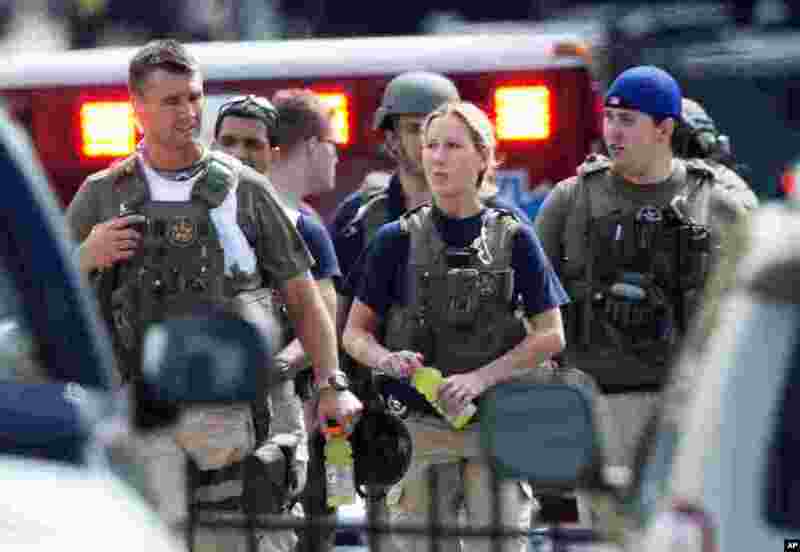 2 Police respond to the shooting at the Washington Navy Yard, Sept. 16, 2013. 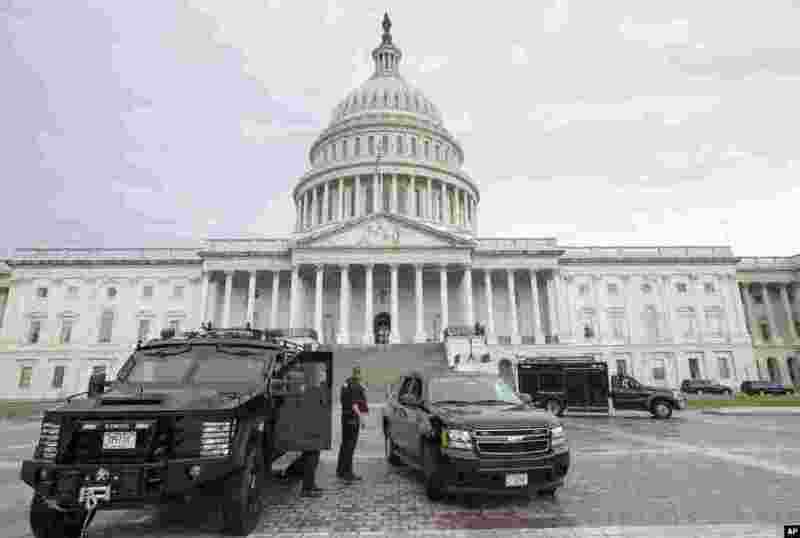 3 U.S. Capitol Police personnel keep watch on the East Plaza of the Capitol as the investigation continues to the shooting at the nearby Washington Navy Yard, Sept. 16, 2013, in Washington. 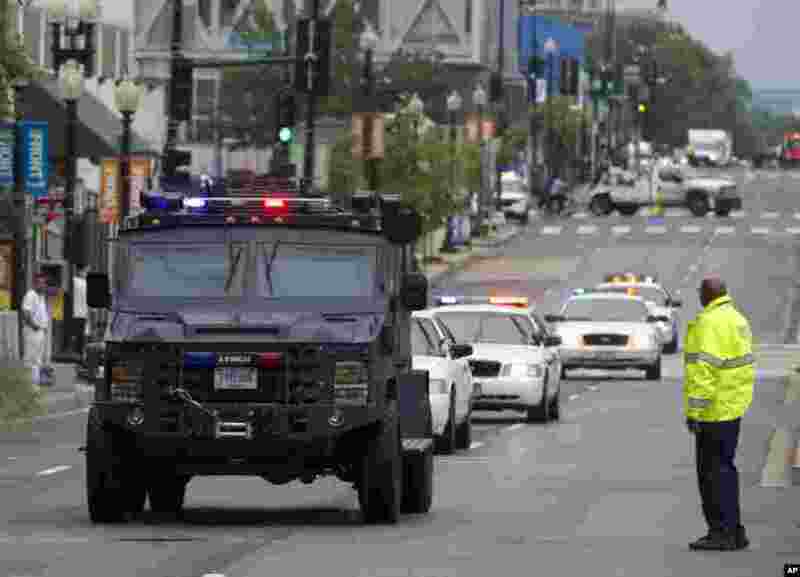 4 Police who responded to shooting at the Washington Navy Yard, Sept. 16, 2013, leave the facility.